Hundreds of Chinese Filipino businessmen have been jockeying to be on the same chartered flight to China with the Philippine President Rodrigo Duterte come October 18-21, 2016. They are seeking to rekindle with their roots, reconnect with their Chinese counterparts in Mainland China and entice to do business with them in the Philippines, in what the government economists consider to be the Golden Years of Infrastructure starting in 2017, when the incumbent administration’s budget is in effect. According to current data, the Philippines is in a very good fiscal position considering its persistent economic growth of 6 to 7% GDP that is the highest in Asia. The realist Duterte government, however, is not relying on these figures alone, but is aggressively pursuing to bring this corporate growth down to the grassroots in concrete terms through the availability of basic infrastructures in the countryside which has to contend with only 20% of the national budget, as Imperial Manila constantly cornering most of the dollar denominated incomes of the overseas Filipino workers, for decades. A number of long span inter-island bridges, new international airports and seaports, are already on the drawing board which will be funded through Public Private Partnership agreements, and constructed round the clock, and are expected to be operational within 3 years, or year 2020. Recently, the CIA-Aquino administration mothballed Bataan Nuclear Power Plant is being inspected for operational integrity. This should have been switched on in 1986, but the timely color revolution against strongman Ferdinand Marcos sabotaged the whole industrialization plans of the late president. 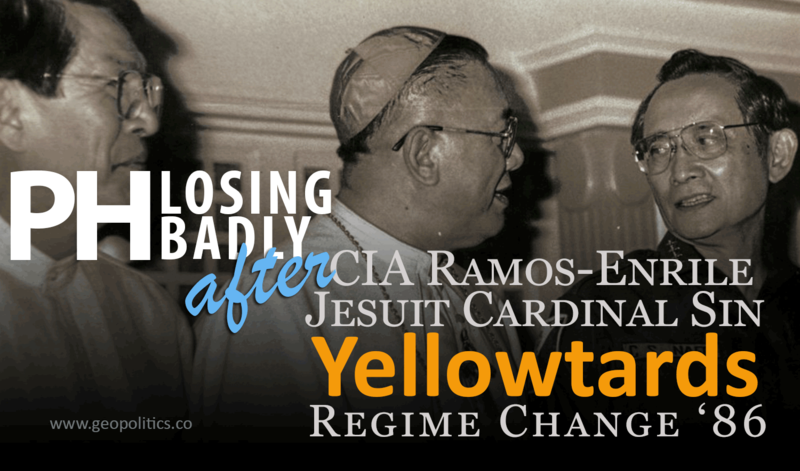 The same CIA coup conspirator Fidel V. Ramos is now criticizing Duterte for having “failed badly” on the first 100 days in office, sort of sourgraping for his own failed post-UNCLOS Hague ruling visit to China. These urgent projects should facilitate the delivery of basic government services, enhance tourism industry and stimulate jobs in the countryside, and reduce the need to live in overcrowded urban centers. WORRIES about the Philippines are “overdone,” with President Rodrigo R. Duterte expected to be good for the economy in the long run, according to emerging markets fund manager Mark Mobius. “Once (Mr. Duterte) gets his house in order…. I think he’s going to be softening and you’re going to see the reform taking place,” said Mr. Mobius in a statement released by the Department of Finance (DoF). On the broader impact of Mr. Duterte’s unguarded comments, which have staked out unconventional positions on foreign policy, the state of the country’s alliances, and eradicating drug crime, Mr. Mobius said that he doesn’t see a problem with it, and that it is a part of the global emergence of more populist leaders that seek to curb crime and corruption. “You’re seeing that all over the world, which I think is a good thing,” he said. Duterte’s 1st China state visit is a significant departure away from the usual practice of having the 1st presidential state visit to Washington, D.C. within the first 3 months in office. It is interesting to note that over the last few weeks China suggested that, if the exact date of Duterte’s Japan visit is already fixed by the host, Duterte might as well do it earlier with them. This is on top of the prior invitation of Russian Prime Minister Medvedev to President Duterte with the phrase “we can give you what you want,” which would mean trade cooperation and military assistance. All sides are obviously seizing the opportunity to turn the tide in the geopolitical arena while the best climate for doing so exists. Relations are souring quickly between the Philippines and the United States, as President Rodrigo Duterte and 250 Filipino business executives head to China, a historic rival, later in October to discuss partnership prospects. “China has repeatedly invited me. I have accepted the offer,” Duterte told reporters, announcing the visit, which is scheduled for October 19-21. According to Reuters, Duterte’s China visit is already oversubscribed, with business and government officials all eager to discuss multi-sector economic cooperation with Beijing. There were initially supposed to be fewer industry professionals, but the number has gone up to 250, Trade Undersecretary Nora Terrado told Reuters, adding that the delegation’s unusual size is due to the fact that the meeting had only been agreed on a month ago. Duterte criticized US President Barack Obama for “arrogance” as he announced the visit – despite the Philippines being a key US ally in the region. The relationship has been strained recently, however, following a series of inflammatory remarks from Duterte in response to Obama’s criticism of the Philippines leader’s tactics in the domestic war on drugs. Until recently, though, the two planned joint military drills in the South China Sea, a territory China lays claim to. Those plans were put on hold on October 8, when Duterte said this year’s annual naval exercise would be the last. No concrete Philippine-Chinese deals have been set in stone, but discussions held on day one of Duterte’s visit should shed more light on that. There have already been suggestions in the sphere of infrastructure and transport, with Chinese firms expressing a wish to modernize railroads in the Philippines. No mutual defense prospects have been voiced as of yet. Experts believe the Philippines could stand to gain significantly from cooperation with China, especially on pressing issues such as energy, infrastructure and unemployment. All military exercises with the United States are now suspended, and for the remainder of the 6-year term of the president. Plans for joint US-Philippines patrols and naval exercises in the disputed South China Sea have been put on hold, and 107 US troops operating drones surveilling Muslim militants will also have to leave the country soon, the Philippines Defense chief said. President Rodrigo Duterte said he wants an ongoing US-Philippine amphibious beach landing drill to be the last in his six-year presidency, with plans to halt all the 28 military exercises carried out with US forces every year. “This year would be the last,” Duterte pledged on Friday in Davao in the southern Philippines, AP reported. Some reports indicated that Duterte is as popular in China as in Japan. A courtesy visit of one of his Japanese fans, the artist Ayumi Endo, is shown below. 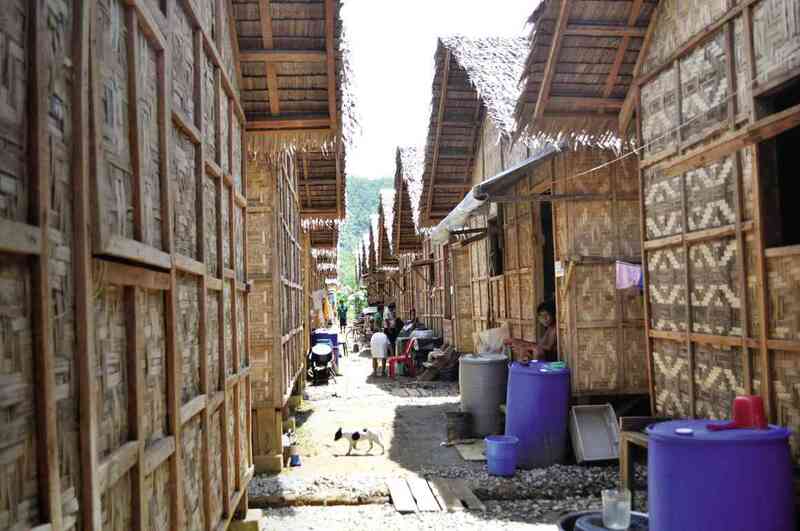 Contrary to the local colonialist media accounts, the Duterte government is engaged in a fast-paced construction of drug rehabilitation centers using funds from volunteer billionaires, again due to the limited national budget that was crafted by the last administration – that same administration which constructed the worst designed housing for the Typhoon Haiyan [Yolanda] survivors. According to House Bill No. 5237, P7.9 billion were allotted for the construction of permanent housing under the National Housing Authority (NHA) for the victims of Yolanda (international name: Haiyan), the world’s strongest typhoon to hit land that claimed over 6,000 lives. In contrast, below is one of the newly constructed 10,000 bed capacity Duterte drug rehabilitation centers inside a military camp. Another drug rehabilitation center of the same size is to be constructed through the help of another Chinese philanthropist. Duterte’s popularity at home and in all spectrum of our society is not without the best of reasons. The things that are happening is unusually overwhelming, in a good sense, of course. There’s just too many of them in such a short time. Here’s just a snippet of them. The Philippines’ pivot to the BRICS Alliance and that of Turkey are what keep the warmongers in the US State Department in the war room late at night. “The US finds it hard to come to terms with the fact that China is becoming larger than the US in terms of economic growth and advancements in many different sectors. I think that China needs to prepare itself for the worst scenario of a possible confrontation with the US instigated by the military adventurism of the United States both in the South China Sea and on the Korean peninsula,” Gao said. … other countries which have effectively been held hostage by the United States’ policy, like for example the Philippines whose President now accuses the US of using his country as an instrument against China, as if the Philippines were no longer a sovereign state. We can sure hope that once the good side of men prevails in hotspots like the Middle East and the West Philippine Sea, it’s when the enemy of humanity is defeated, and the world will experience lasting peace. Aside from false philanthropy, fiat monetary scam and bloodsoaked petrodollar, another significant source of funds for the Nazionist Khazarian Mafia is the “healthcare” industry which registered a whopping $3.09 trillion in 2014, and is projected to soar to $3.57 trillion in 2017, in the US alone. We believe that this is just a conservative figure.